Forest, Langlade, Lincoln, Oneida and Vilas counties are the Northwoods of Wisconsin, home to vast forests, thousands of lakes and the friendliest communities in the state. For more than a century, the Northwoods of Wisconsin have attracted travelers seeking the area's outstanding fishing, boating, scenery, trails and welcoming people that made them feel right at home. Today, the Northwoods of Wisconsin remains the Midwest's most unique vacation destination. Experience the woodland beauty and authentic communities that make the Northwoods of Wisconsin such a special place. Start planning your vacation to the Northwoods of Wisconsin today. Are you a bum or an explorer? A gumshoe or a trailblazer? You'll find plenty of different personalities in the Northwoods of Wisconsin, from vacationers content to sit on the beach to adventurers who want to hit the trails on their mountain bikes. We've got something to offer everyone. 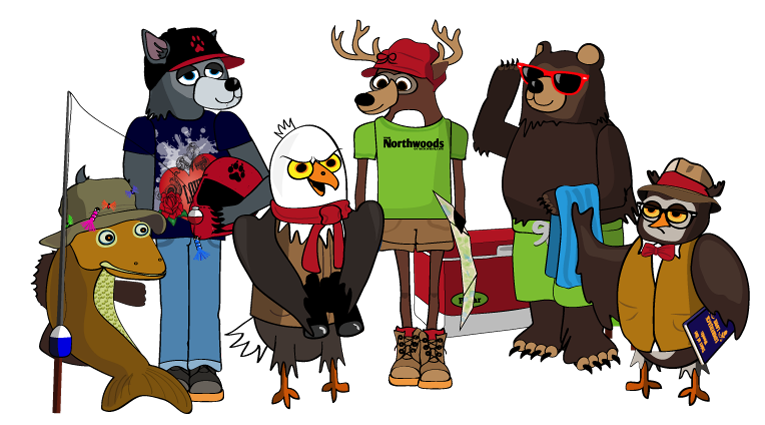 Find your Northwoods personality today.